New publications of our clients’ books in the USA, France, Brazil and Greece! Just published in the USA by Seven Stories Press: THE JUGHEADS by J. R. Helton. 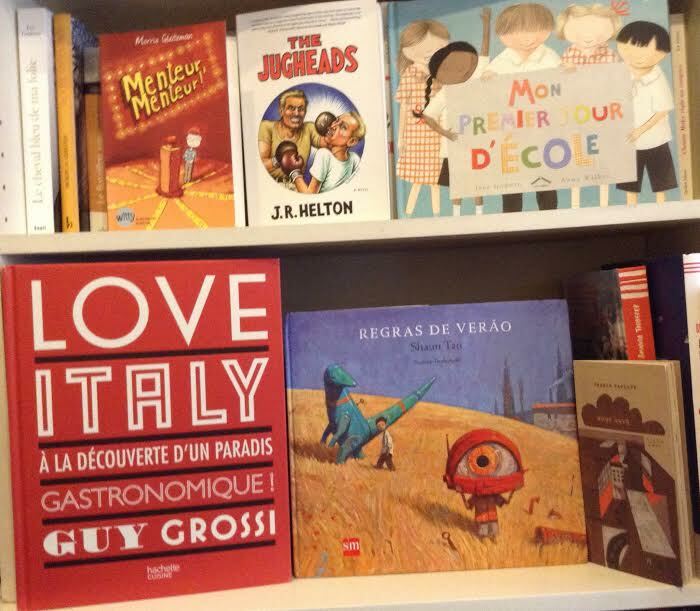 In France, MENTEUR, MENTEUR (Albin Michel), MON PREMIER JOUR D’ECOLE (Circonflexe) and LOVE ITALY (Hachette Pratique) are all from Penguin Australia. Shaun Tan’s latest magnificent picture book, RULES OF SUMMER, is now out at SM in Brazil. And finally, Franck Pavloff’s massivly best-selling anti-faschist booklet MATIN BRUN has just been published in Greek by Aiora. Discussions are under way for a short live-action film based on the story to be filmed in Thessalonika in 2015. Previous Post Things are cooking at First Second! Next Post Break out the bubbly!